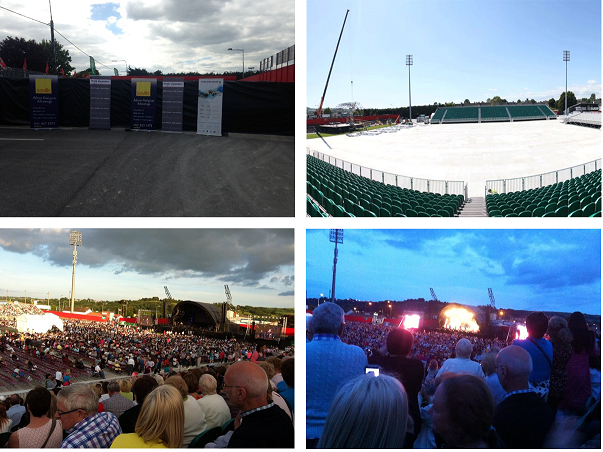 The Chris Mee Group were proud to support the recent Il Divo concert in Cork. Musgrave Park facilitated a sell-out crowd, with an additional 2,000 seats added just days before the event, due to a phenomenal demand for tickets. The City of Cork Symphony Orchestra kicked-off the Midsummer Night Concert, followed by The Irish Sopranos, and then the main act, Il Divo. The record-breaking classical group, originally formed by Simon Cowell, is made up of Spanish baritone Carlos Marin, French pop singer Sebastien Izambard, American tenor David Miller, and Swiss tenor Urs Buhler. The group have sold more than 26 million albums worldwide, and have played a number of concerts in Ireland over the last few years. The City of Cork Symphony Orchestra, made up of 75 members, accompanied all performers on the night.